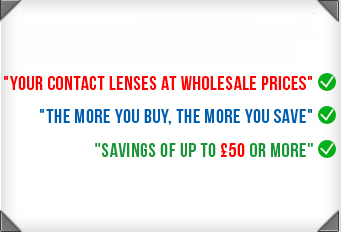 Looking for high performance daily disposable coloured contact lenses? Made by trusted manufacturer Ciba Vision, Freshlook One Day contact lenses combine excellent vision quality with comfort, convenience and great breathability. 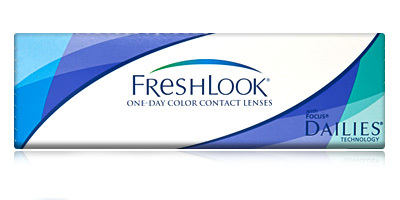 Choose Freshlook One Day from four colours including: hazel, grey, green, and blue. 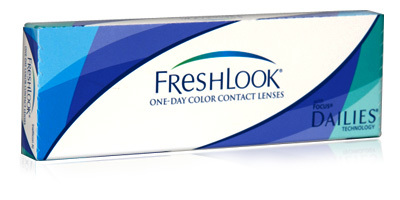 Freshlook One Day Available in powers from 0.50D to +6.00D, Freshlook One Day contacts are best suited to the long-sighted. There are 10 coloured contact lenses in each box. An exceptionally high water content combined with a soft and very permeable material makes Freshlook One Day contact lenses one of the most breathable coloured daily disposables available. More oxygen than usual is allowed to permeate each lens, which means eyes can stay consistently hydrated and free from dryness and irritation, which often leads to blurred vision. The material is also highly resistant to protein and deposit build-up. Eyes stay naturally clear, bright and moist all day long, even in air conditioned environments. Just want to change your eye colour? 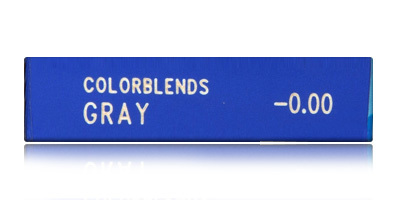 If you don’t require glasses or lenses that correct vision problems, simply choose the plano (0.00) option from the drop-down list of powers when ordering online. For help and advice on all types of contact lenses or Freshlook one day contact lenses, talk to a member of our dedicated team by calling 0800 037 4000. Fast delivery is our forte. We aim to ship all orders the same day and offer an express delivery option to home and work addresses. Wonderful experience, thank you very kindly for your efforts to please. I had concerns, they were answered in a very timely manner, very professional. Would defiantly recommend to others! I will be back! Thank you! ! Fast delivery, easy ordering process. Will be back for more!